2015 Customer Appreciation Day – Saturday, October 10, 2015! Happy Thanksgiving to Our Customers! FREE Equine Nutrition and Dentistry Seminar Together! It’s Time for Spring Garden Planting! Cherokee County Recreation & Parks Survey – Now Available! Chick Days 2016 are Here! 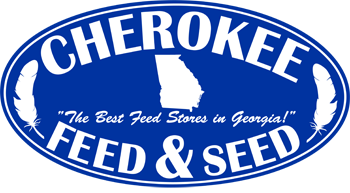 The Chicken Whisperer® is Coming to Cherokee Feed & Seed! Buckeye Nutrition Horse Feed Special – Buy 3 Bags, Get 1 FREE! Two FREE Purina Cattle Mineral Meetings – February 27 & 28, 2017! Gainesville Customer Appreciation Day is April 15th! FREE Hay & Feed Seminars TONIGHT!